Growing up in Beverly Hills in the 1970s, Lori Gottlieb learned the lessons her culture had to teach her—for example, that “no one could ever like a girl with thunder thighs.” Lori took those lessons seriously, and saw her world fall slowly apart as she developed a fierce reluctance to eat—winding up hospitalized when her “diet” took over her life. 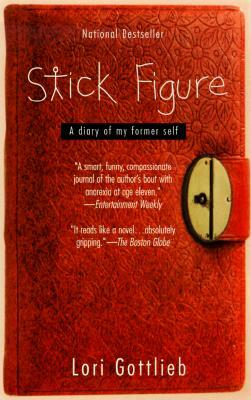 Fortunately, she recorded the journey in her diary, and her story is funny, slyly insightful, and surprisingly universal. A Los Angeles Times bestseller, Lori’s story is being made into a motion picture film by Martin Scorsese’s company, Carpo Productions. Lori Gottlieb is the author of the national bestseller Stick Figure: A Diary of My Former Self and a journalist whose work has appeared in The New York Times, The Atlantic, Time, People, Slate, Self, Glamour, Elle, Salon, and the Los Angeles Times. She is also a frequent commentator for NPR’s All Things Considered.